The same concept of value added services goes for IoT. Most IoT network traffic is related to data from sensors. However, there will be cases when value-added real time communications will be required, such as when someone may need to talk to you through the SIM card in your car. Or when this happens, there will likely be a need to record this voice and/or video call. Or maybe closer to home, if someone is ringing your doorbell, then a live video feed can go to either your smartphone or your desktop or your tablet, whichever you choose, so you can see if you want to actually get up and go to the door. There have also been many healthcare examples written about where voice and/or video would be required. In these cases, the value-add is realtime communications via voice or video. It’s an add-on to the normal IoT traffic routine, one that for specific use cases makes sense. Dialogic has been participating in value added services for real-time communications since it’s inception almost 35 years ago. So it makes sense we’d continue to participate with value-add in relation to real-time communications as it applies to IoT. 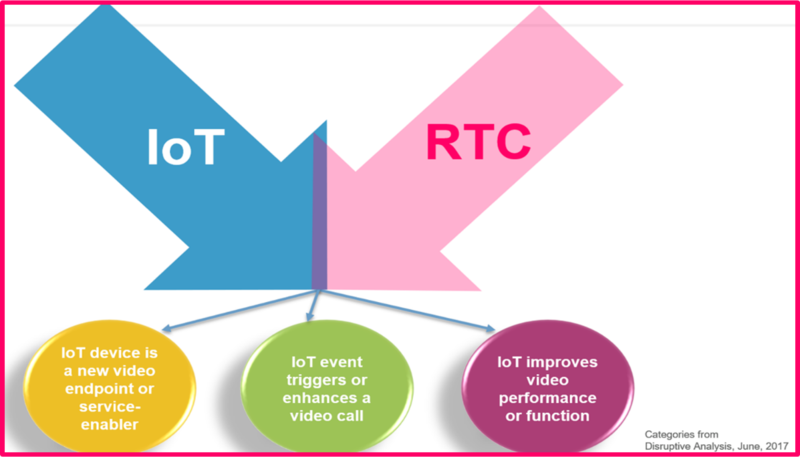 We have both the underlying technology to help you create a cloud-based RTC IoT application, or we can even create a customer application for you.